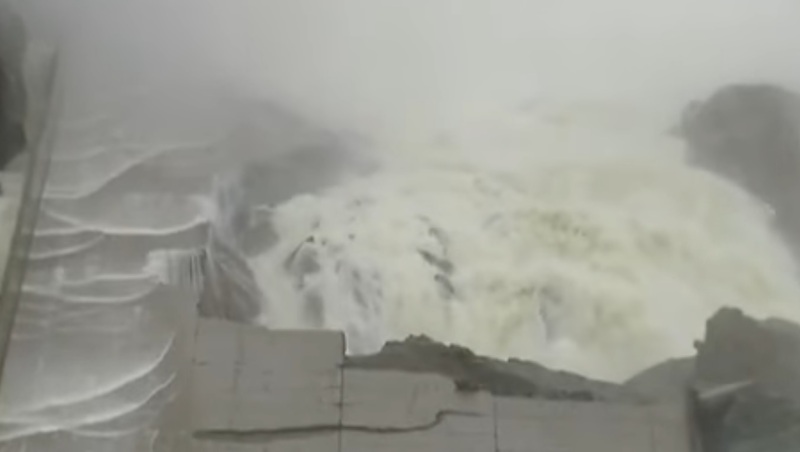 The Big Wobble: Breaking News: Oroville Dam spillway has been compromised and is breaking up: Whole section of concrete has been washed away and huge cracks appearing. 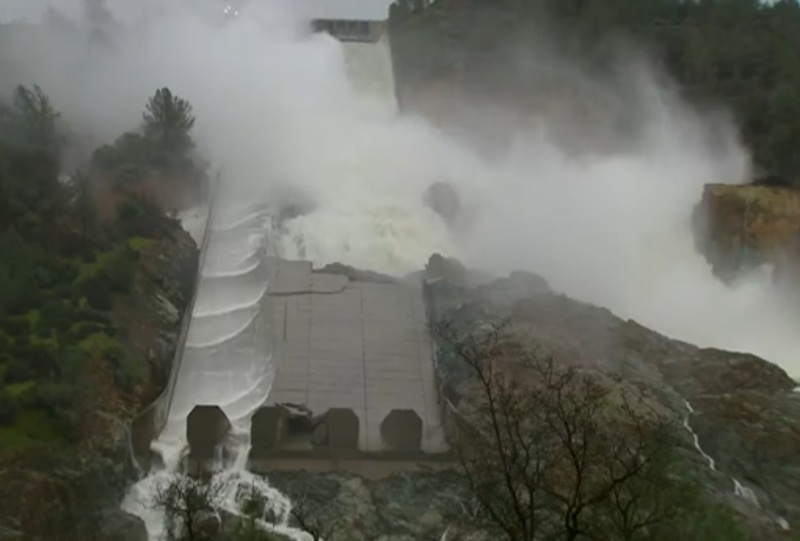 Breaking News: Oroville Dam spillway has been compromised and is breaking up: Whole section of concrete has been washed away and huge cracks appearing. Live streaming of the Oroville Dam is suggesting the spillway has been compromised and a whole section of concrete has been washed away. Residents are nervously watching the Oroville Dam and have packed their bags prepared to evacuate again if necessary. Sacramento Bee.com claims the town of Maxwell is flooded and two stretches of Interstate 5 north of Williams were barely passable because of encroaching waters. Roads throughout the region were closed from flooding and mudslides. Reclamation districts patrolled levees, monitoring boils and sandbagging. Another Northern California reservoir is at full capacity as a new "Weather Bomb" is pounding the area: Flooding is inevitable as another 6 inches of rain expected. Geeze, what the heck are those people waiting for. Get the hell out of there. It's going to break apart. Don't think for a second that it won't. All that water pushing against it. YES I TOTALLY AGREE! DOT LEAVE IT TOO THE LAST SECOND! SILLY IF THEY DO, IT WILL BREAK YOU CAN SEE IT WILL! GET OUT WHILE THERE IS TIME PEOPLES! Oroville dam is damned ( done for ). The spillway is not the dam. The spillway is damaged but the dam is OK. The most serious problem was the emergency spillway. That is no longer being used. IMHO the dam will hold unless a big earthquake happens near it.